We thoroughly enjoyed Talk To Your Baby 2019 and hope you did too. Thank you to everyone who helped make it such a success. We're already planning for the next one! Express an interest in next year's conference. 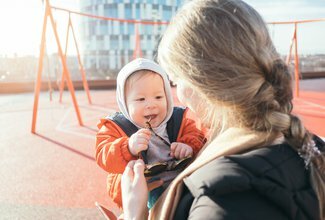 In 2018 we looked at why early language is being prioritised across the UK and what it means for those of us working across early years and public health. We looked at how different regions are tackling the language development gap and hear about the very latest research, and evidence-based practice being utilised, in language acquisition. 2018 delegates can now access the presentations from last year's conference. If you are having trouble accessing the page, please email conferences@literacytrust.org.uk. Here, delegates that attended the 2017 conference can download the presentation slides from the day and watch the introduction video from Conference Chair Jean Gross. Presentation slides from the 2016 conference are available to download.